If you are one of those that believes everything was better a few decades ago, this is the perfect event for you. The meeting of the old and new, bringing back one of the best clubs in London. Bag O’Nails was one of the hotspots in London’s 60s music scene, and after some love and attention, the private members’ club will re-open on 1 March 2013, hoping to create new incredible musical moments. Bag O’Nails is located on the Regent Street border of Soho and will offer live entertainment and performances including jazz, soul, funk and blues. With a high-end dining experience, premium cognacs and whiskeys, an excellent range of wines and cocktails and flexible dining spaces, Bag O’Nails adds to London’s elite private members’ club scene along with a unique space for private events and private dining. Head of the Bag O’Nails team, Giovanni Baldino, previously ran the front of house at Ristorante Semplice and Locanda Locatelli, where he first met Bag O’Nails’ Head Chef Loris Bevilaqua and bar manager Martino Cancedda. 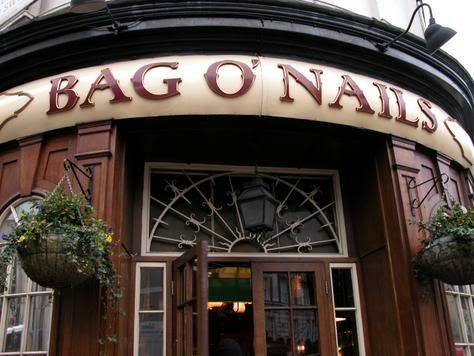 Bag O’Nails opens on 1 March 2013 – for more information on membership, please contact the club for more information. The best option for your short-term rental in London.